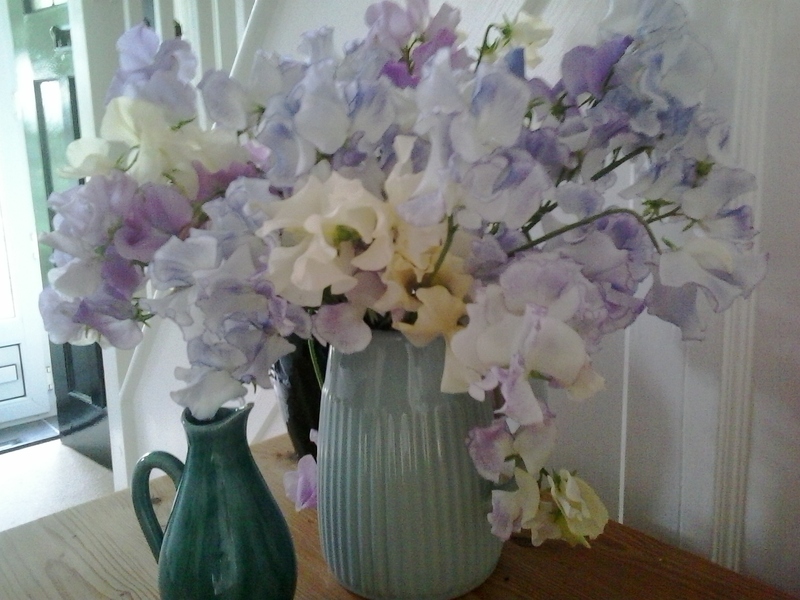 Sweetpeas for my Vase on a Monday .The varieties are Betty Maiden, Jilly, Kipper Cream and Ethel Grace. All plants have now picked up and flowering wonderfully. Rainy days are here again, so the workroom beckons. 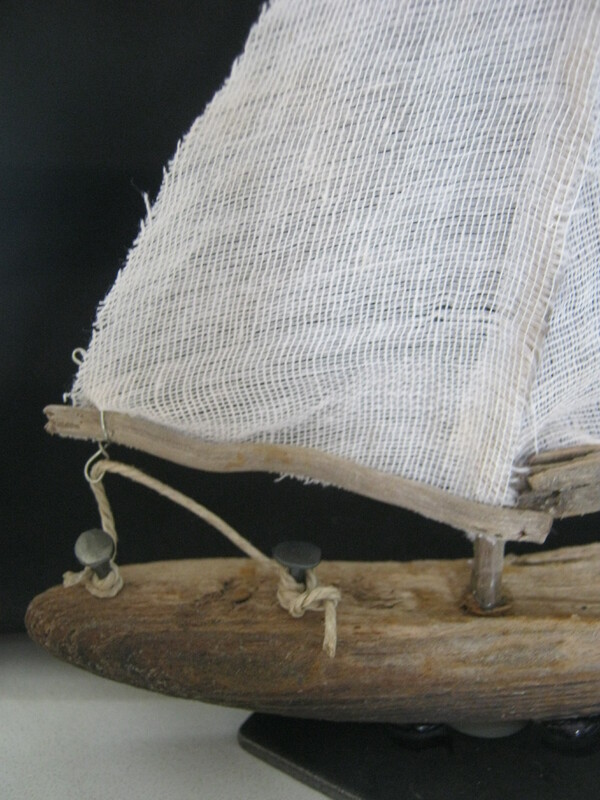 After drying some of my beach finds I have decided to make a small boat from some of the bleached wood. 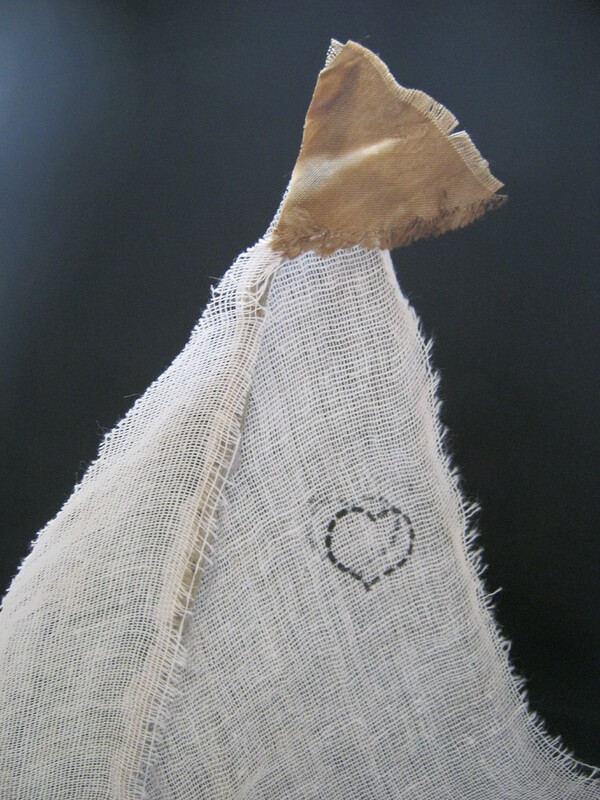 Measuring just 16cms by 20cms and using recycled carpet tacks, old linen twine and tea dyed muslin. 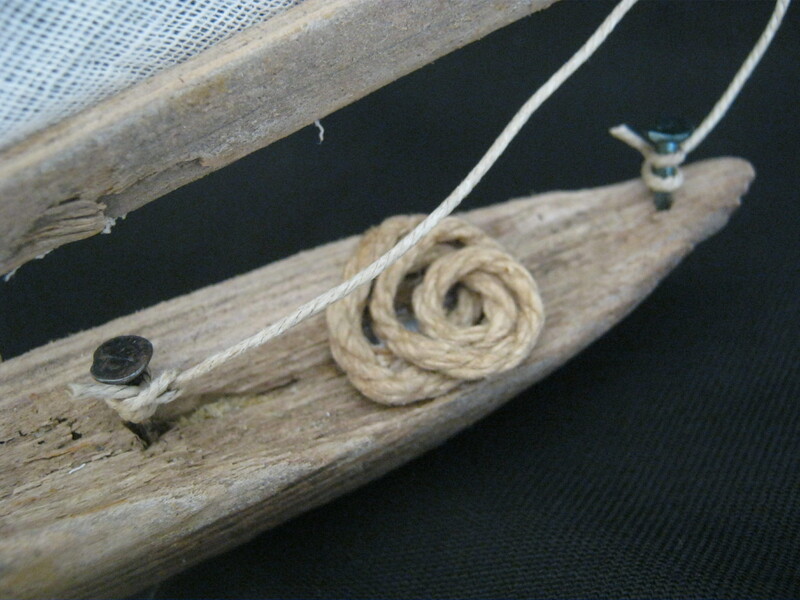 To finish I gave it a coiled rope made from a piece of string that was attached to a key belonging to a 1930s sewing machine and a flag from tea dyed silk. 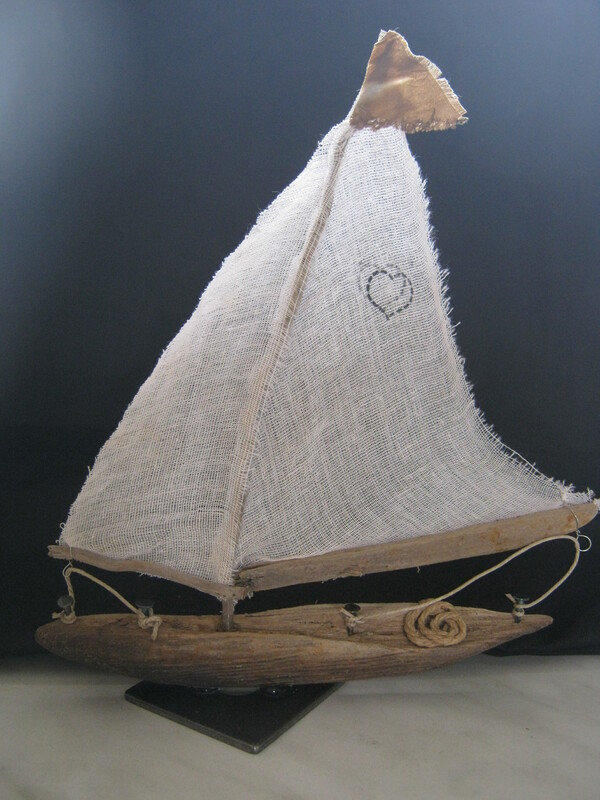 Think it will go to Mr Malc as an early wedding anniversary present. 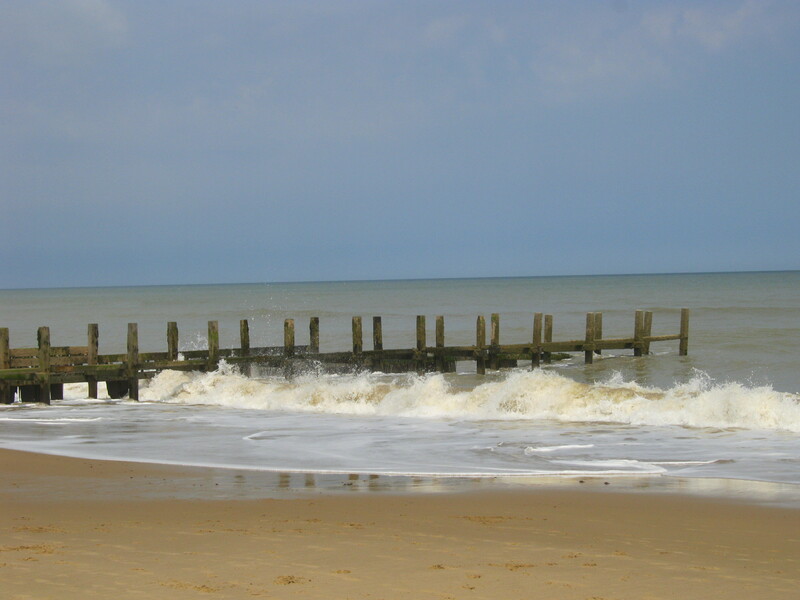 We have just returned from having a lovely few days away in Norfolk. 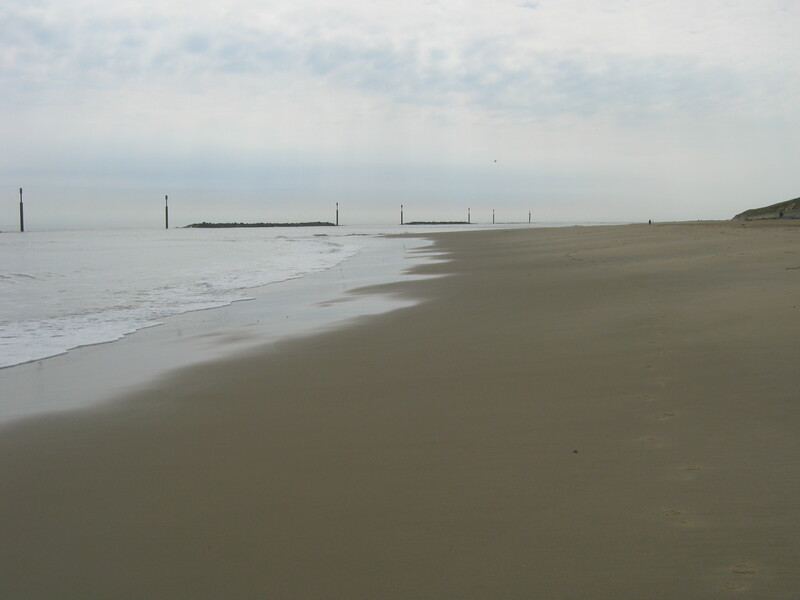 I think I have said this before but I adore walking along deserted beaches. After stopping in a really convenient family run hotel, we started out early on Monday morning making our way to Sea Pallings. 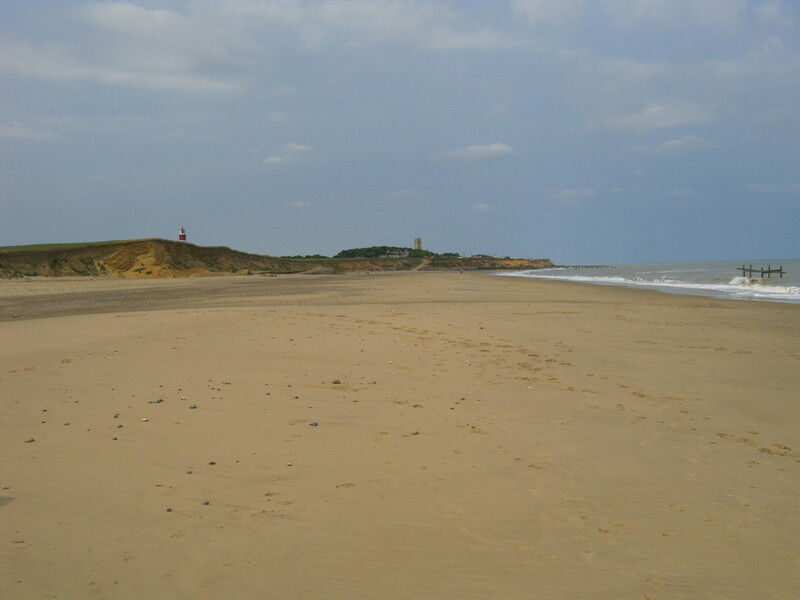 We visited this beach and Happisburgh last September, but we had to do them again. We were not disappointed. 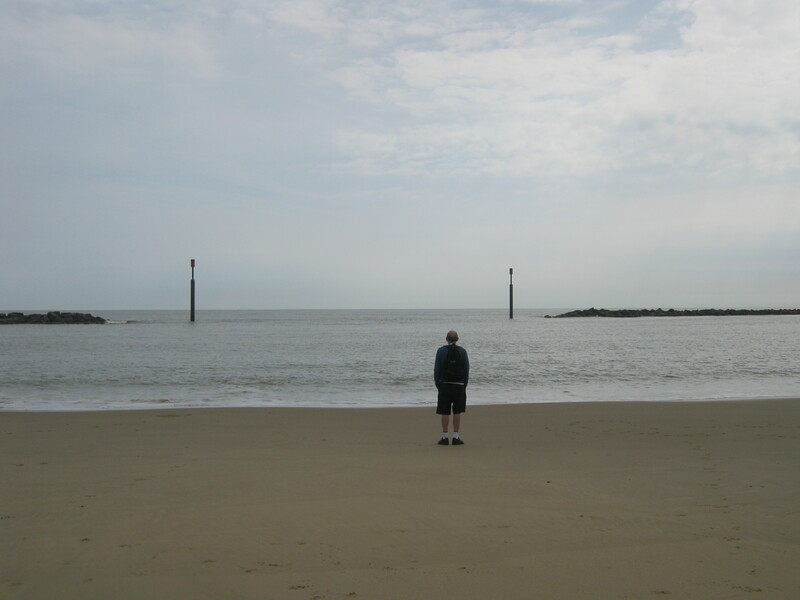 Mr Malc watching a seal play about in the sea. 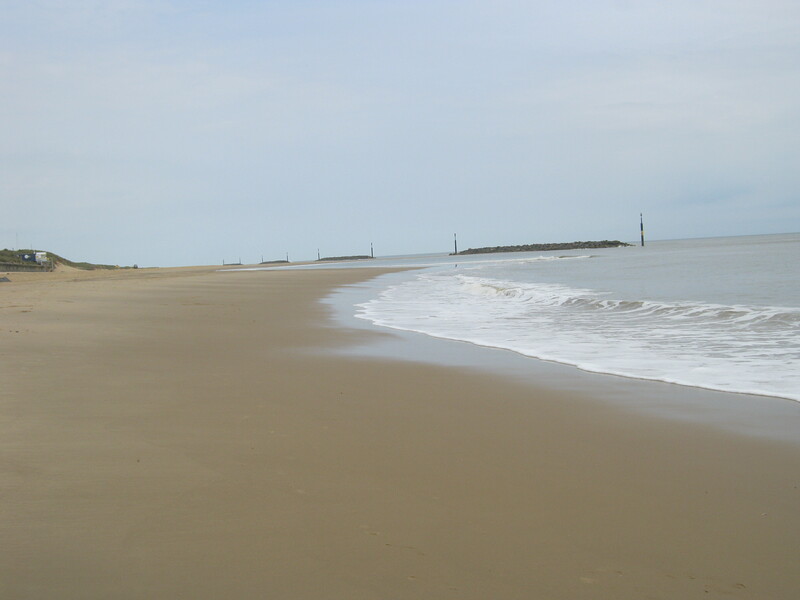 Apart from the odd dog walker we had the beach to ourselves ……. ….and walking back the other way the sun came out and never went in again all day …..perfect. 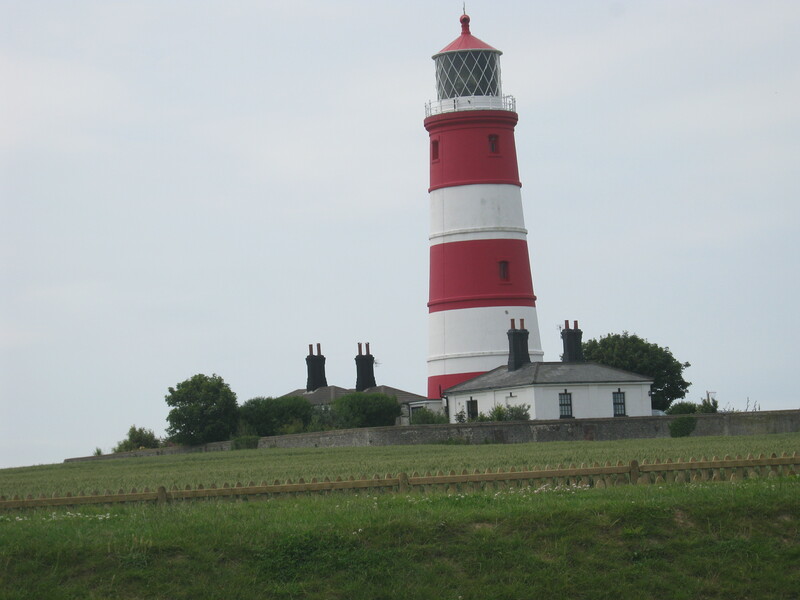 On to Happisburgh catching a glimpse of the lighthouse as we walked down to the beach……..
Mr Malc even found a friend to feed..!!!….. 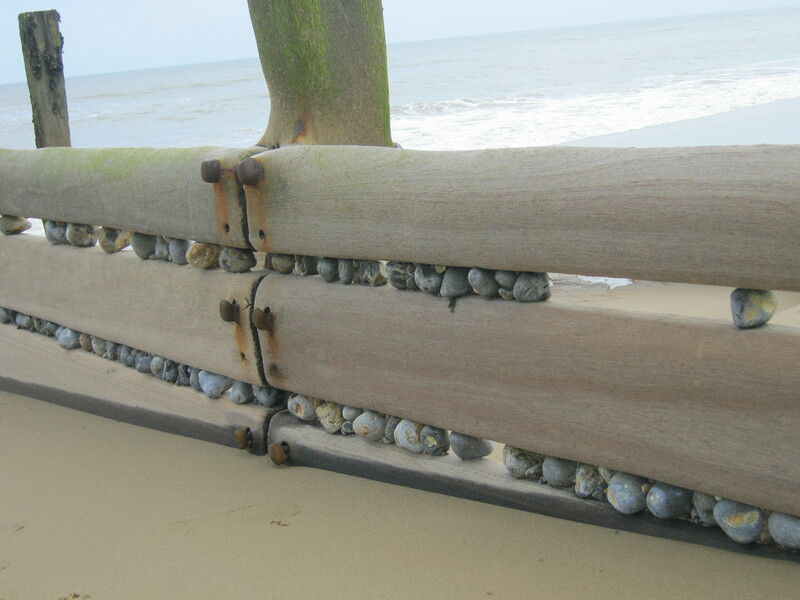 ….and the force that is needed from the storms to push these pieces of flint into them must be pretty powerful. 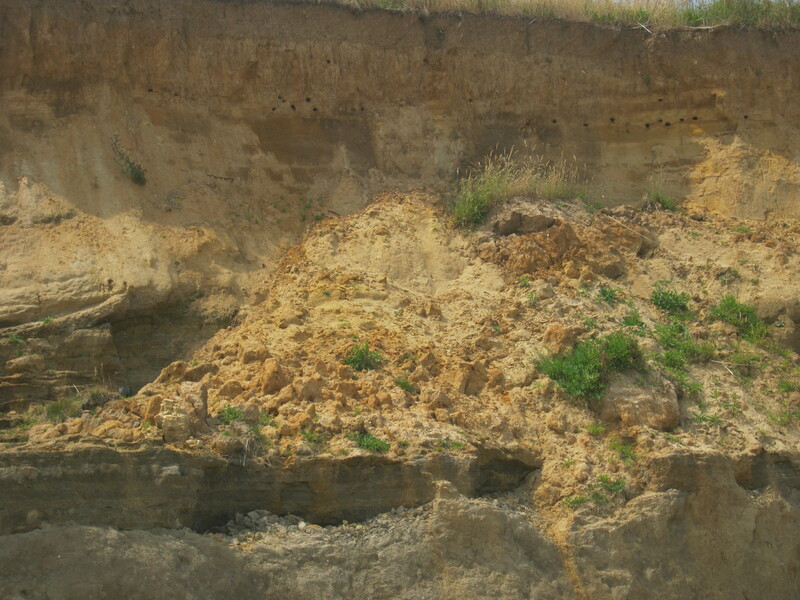 Along the sandy cliff, birds were squealing above our heads, flying in and out of the nests feeding their young.You can just make out the rows of nest holes, and this was only a small section…. 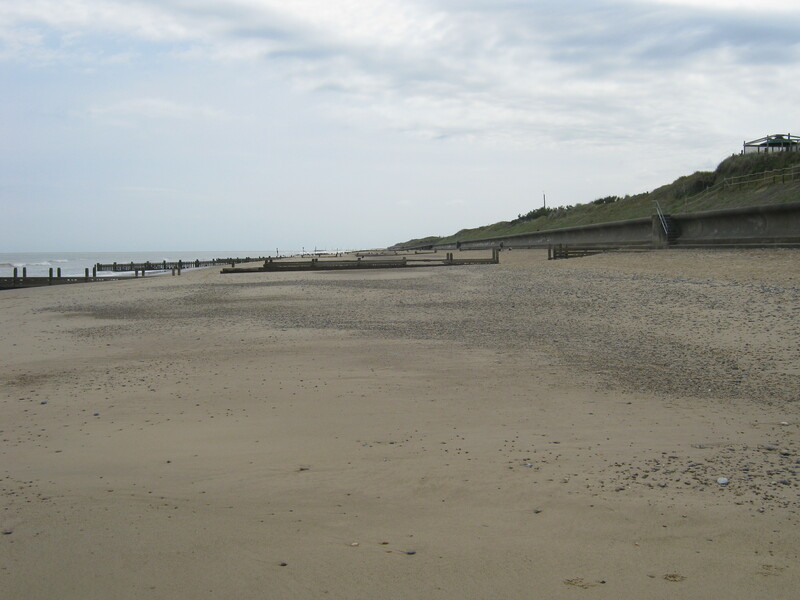 Again the beach was virtually deserted and there were rich pickings for me. 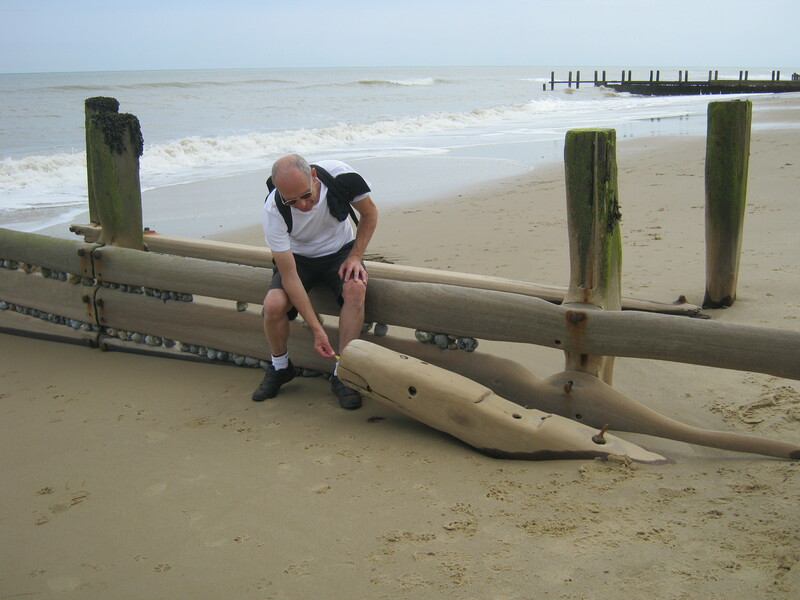 I now have a list of projects that I want to make with all my beach treasures ……..watch this space……. Back at our hotel we went around to the medieval duck pond that is looked after by the hotel owners. 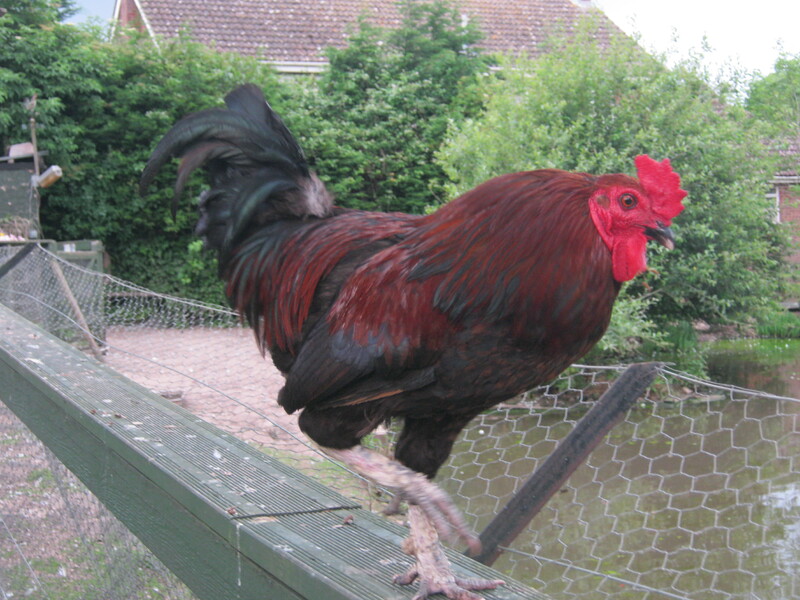 They have many rare breeds of wildfowl along with some really handsome cockerels and hens. 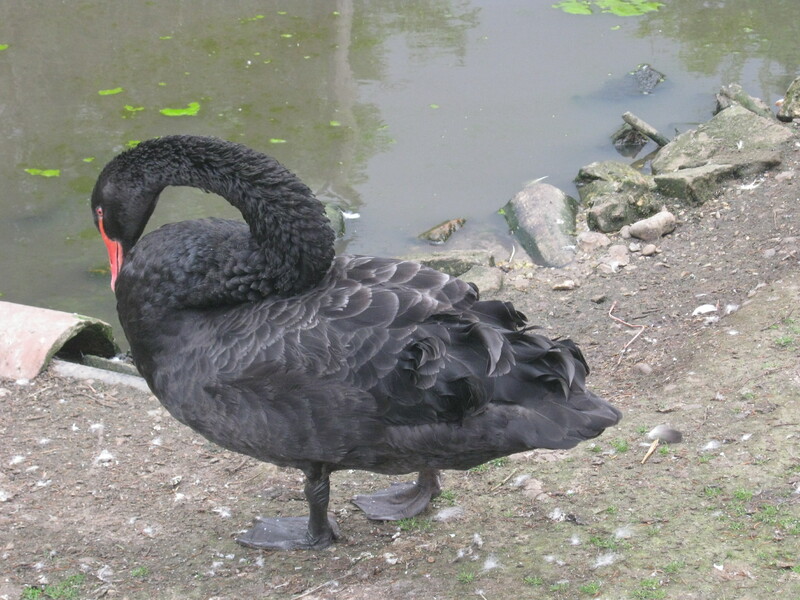 One of the very cheeky cockerels…..
…..black swans have inhabited this pond for a couple of century …. 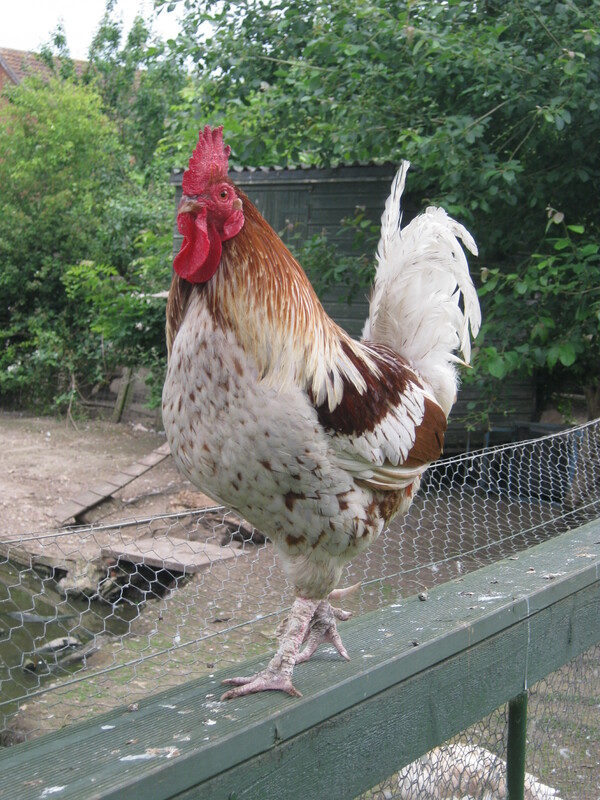 …..and the most handsome cockerel and the noisiest….. 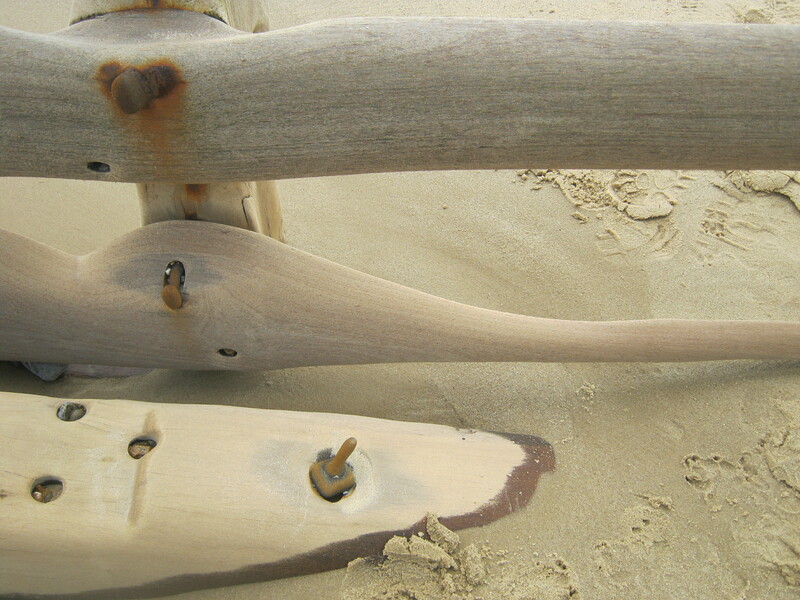 It is just one year ago that I first started my blog. What a journey ! With nearly 6000 views and over 1000 comments I cannot thank all my followers and viewers enough. I have seen some fantastic gardens and plants from all around the globe, and most of all made some good friends along the way. 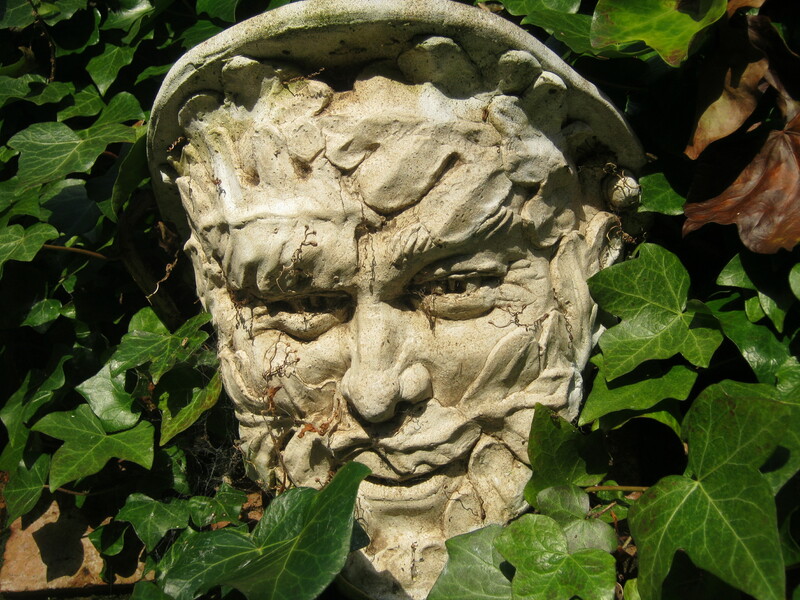 The Green Man keeps watch………..
Another superb front of the border plant. Growing from a softly / prickly thistle like foliage, Morina has 60 cm tall spikes of exotic looking tubular white flowers. 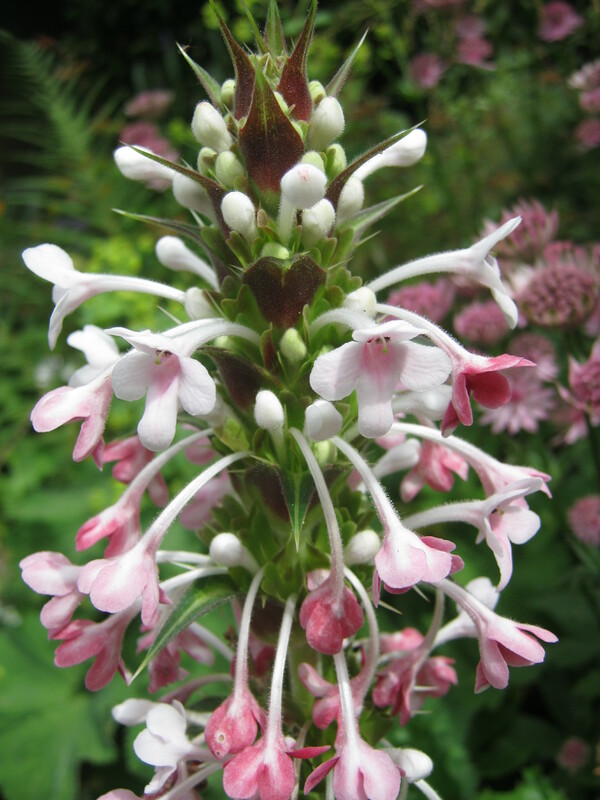 Once pollinated the flowers turn a lovely shade of pink. Flowering all summer if you can bare to cut off the wonderful seed heads. 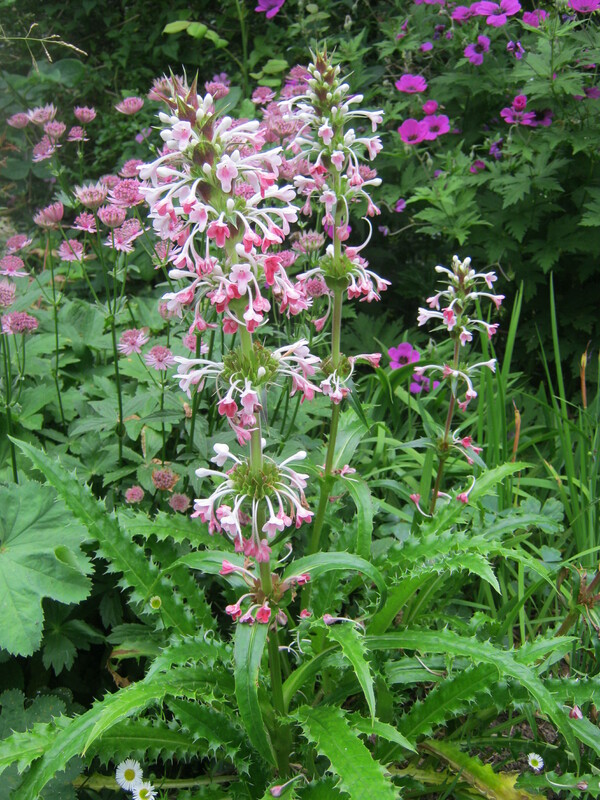 A hardy perennial liking most conditions that are not too wet. This plant and its siblings were originally grown from Plant World Seeds.